“Here again, you come back to situations like that in the Middle East where not least the Palestinians see that there isn’t any future [for them]. 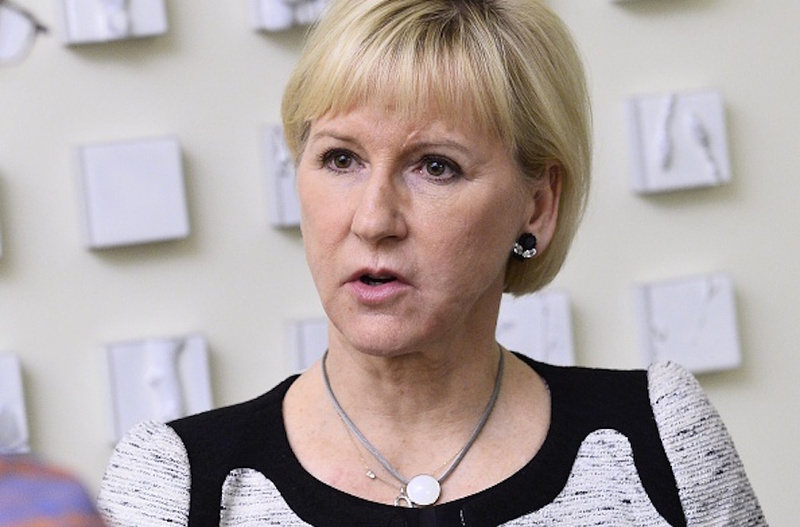 [The Palestinians] either have to accept a desperate situation or resort to violence,” Margot Wallstrom said in an interview with Sweden’s SVT television station about the Nov. 13 killing of 132 people in a series of attacks in the French capital. French President Francois Hollande said the attack was “an act of war” by the Islamic State terrorist group. Later on Monday, Israel’s Foreign Ministry summoned Sweden’s ambassador in Israel for a meeting with Director-General Dore Gold. What can you say about a country that has someone like this as their chief diplomat? /Spit. None of these Euros (and Americans) have read Winston Churchill's book called River War about Sudan in 1899. Exactly what is happening now, but with no Israel and no Jews in sight. Read that book! The Swedish Embassy in Israel ... “FM has not said that Israeli Palestinian conflict is linked to tragic events in Paris." The Embassy is staffed with either (1) illiterates, or (2) idiots. Yes, and Israel is also responsible for the Taifun in the Philippines and for the bushfires in Australia!! So did the Dutch Socialists, literally using the same language.